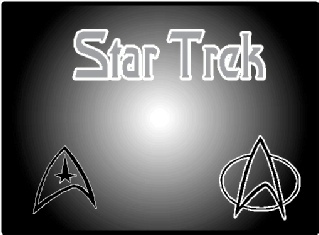 This is were we will have our Star Trek Reviews, news articles and other Trek related information. No credit blame Rick. 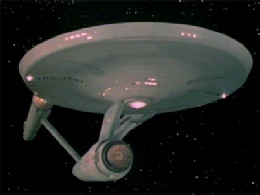 I am one of those old people who remember watching Star Trek when it first came on TV. I remember the fall preview issue before it started. It was called “A Wagon Train to the Stars”. Now the review was referring to another TV show called Wagon Train, not a literal wagon train - it was a western with a fairly large cast of regulars and guest stars every week. Looking at it in this context the reviewer was correct. To us SF fans in the late sixties this was the greatest SF show ever to be on TV. For three great years we were able to watch it, and then it was gone!!! The network, NBC, felt that there were not enough viewers for the high cost of the show. It cost an average of $100,000 a show. And it could be replaced by two half hour sitcoms costing around $30,000 a show. (We have stars on half hour sitcoms getting a million dollars a show now). The show was gone but not forgotten. Reruns and a bad cartoon series followed plus books, fanzines, clubs and more. I was part of a Fan club in the mid seventies. We wrote letters wanting the show back or at least make a movie version of it. (They didn’t want to do a movie of it because you couldn’t do a movie based on a TV show). Then a young director sold 20th Century Fox on his idea of a movie called STAR WARS... A movie that ran in some theaters for more than 12 months!! The time was right for SF. Everyone was jumping on the SF band wagon. New TV shows came on and went off. 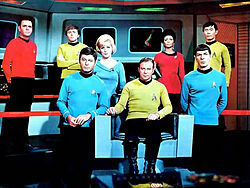 None of the TV shows came close to Star Trek or Star Wars. Paramount realized this was the time to test the waters with a new Star Trek project - and production on Star Trek: The Motion Picture began. And when it came out the fans went nuts going to the Theatre to see it and the general view by most fans was it was the worse Star Trek story they ever saw, but it was Star Trek. And the fans went to see it enough times to make Paramount realize it would be worth while to do more. After several movies Paramount decided on doing another series based on the Star Trek Universe, but set in the future. 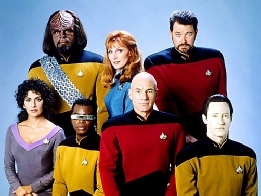 And so came Star Trek: The next generation. 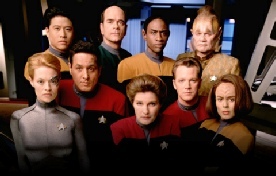 Followed by Star Trek: Deep Space Nine and Star Trek: Voyager. And then going back in time before the first series with Star Trek: Enterprise. 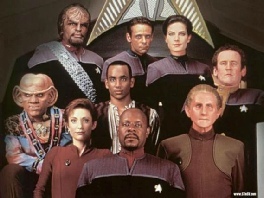 The movies were then about Star Trek: The Next Generation . 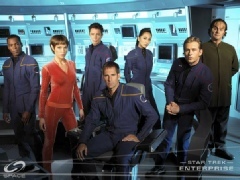 Then Paramount canceled Star Trek : Enterprise! And it was no more Star Trek.... The last movie had a bad script and didn’t get the viewers to make it a hit. The end was here again. 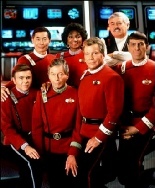 Then in 2007 the news of a new movie, a reboot with the original crew played by new actors. Then it was said that it would have time travel in it and it would be about an alternate time line.... This was starting to sound bad. But then the day came when STAR TREK came out. It looked like Star Trek, it felt like Star Trek... 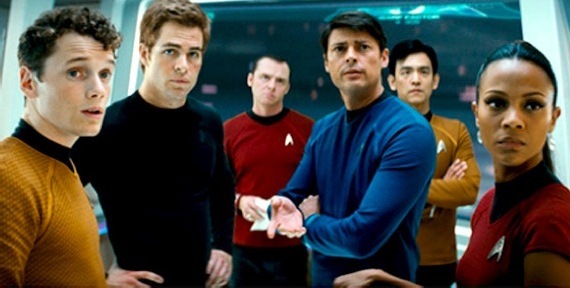 They had done the impossible, the recreated Star Trek with new actors and it worked. The alternate time line leaves us with new adventures without changing the old stories as they happened in another time line. Now we are waiting for the second one slated for 2013.